Ghent University (Belgium) is starting up a digital humanities project for the development of a data-infrastructure for the study of late medieval Syro-Egyptian elites, their networks, and their social and cultural practices, including their textual production and consumption (13th-15th century). 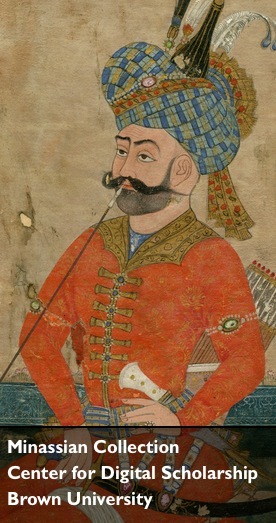 This Mamluk Prosopography Project (MPP), which will build on the achievements of preceding prosopographical projects, will be developed as a new application with web-based multiple user-, input- and analysis functionalities. MPP’s development is scheduled to be achieved between 2016 and 2020, and will be funded by the Research Foundation Flanders (Medium-Size Research Infrastructure), and by the European Research Council. We are currently starting up the required public tender procedures to inform potential candidates in the private sector of this opportunity. The contract for this development project will be awarded via a European negotiated e-tender procedure with publication of a contract notice. The selection guideline for application was published earlier this week, and may be accessed via https://enot.publicprocurement.be, ‘search for publication’, ‘dossier number’: 16OMB003. 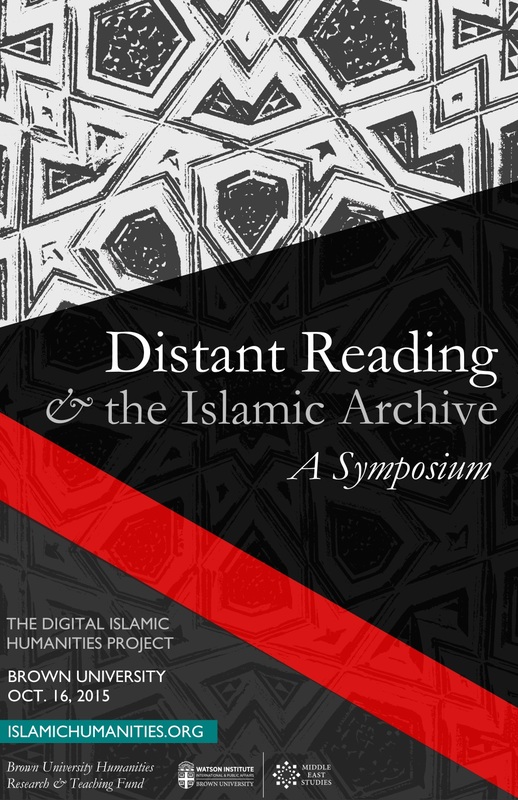 The Digital Islamic Humanities Project, a signature initiative of Middle East Studies at Brown University, is pleased to announce its annual scholarly gathering, a workshop on the topic of print culture in the early modern and modern Middle East. The event is organized in partnership with Gale Publishers, which will present its new digital text archive entitled “Early Arabic Printed Books from the British Library”. 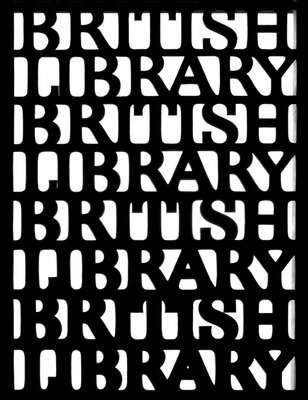 The archive is based on A. G. Ellis’s catalog of the British Library’s collection of early printed materials from the Arabic-speaking world, and contains approximately 2.5 million pages from historic books on diverse genres, including literature, law, mathematics, medicine, geography, and other topics. The workshop will include a featured lecture entitled “Towards a New Book History of the Modern Middle East” by Dr. Kathryn Schwartz, Postdoctoral Fellow for the Digital Library of the Eastern Mediterranean at Harvard University. Further information about the event program will be posted by September 1. Please contact the event organizer, Professor Elias Muhanna, with any questions. Digitally-enabled spatial analysis can generate hypotheses, substantiate arguments, and communicate findings at a glance. In this paper, I will demonstrate how spatial analysis reveals the topography of readership in seventeenth-century Istanbul. Using WorldMap has allowed me to collate data from many different sources, including court records, probate inventories, and waqfiyyas, into a single map in order to identify larger patterns. Given the exploratory nature of the conference, I will briefly share the “messy” interim steps I took as well as the more polished maps that resulted. During the remainder of my talk, I will reflect on the promises and limitations of open-source, user-contributed mapping. WorldMap allows anyone to create a layer which can be combined with other users’ layers. In other words, it holds the potential to facilitate the kind of collaborative work that is said to be a hallmark of the digital humanities. At the same time, my experience as a consultant to digital humanities projects (while working for Ithaka before graduate school), provides some cautionary tales about the sustainability of digital projects and challenges presented by “user-generated” content.